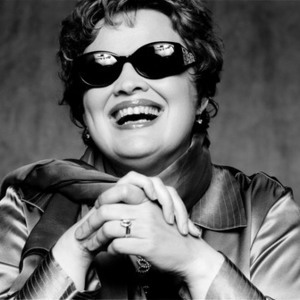 Born in Tacoma, Washington, vocalist Diane Schuur has earned respect and garnered praise from such legendary musicians as Dizzy Gillespie, Count Basie and B.B. King. Known for her three-and-a-half octave vocal range, Schuur's remarkable career began at age nine with her first professional gigs, including those at the local Holiday Inn. While still a student at the Washington State School for the Blind, a 16-year-old Schuur was performing original material and wowing audiences with her playful and distinctive voice. Then, Schuur made her Monterey Jazz Festival debut in 1975. The legendary Stan Getz became one of her biggest fans and an important mentor after hearing her perform at the Festival. The rest is history. Since then, Schuur has become a legend herself. She has been nominated for five and received two GRAMMY? Awards for "Best Jazz Vocalist," as well as headlined many of the world's most prestigious music venues, including Carnegie Hall. Schuur has toured the world and has performed with such greats as Stan Getz, B.B. King, Maynard Ferguson, Ray Charles, Stevie Wonder, and Quincy Jones. She has performed countless times on The Tonight Show, has performed at The GRAMMY's and at the White House.